Our Little Haven helps over 500 children and families each year that are struggling with the effects of abuse, neglect, and mental or behavioral health challenges. Through our compassionate care and the support of our community, we are helping children make the hurting stop, the healing begin, and the love last, one family at a time. This year we are partnering with Mechanical Contractors Association of Eastern Missouri to raise funds that allow Our Little Haven to make this a special year for the children we serve. Support through the Holiday Hugs for Our Little Haven will be utilized to purchase specific therapy and care supplies needed through out the year. These specific needs allow our professional and compassionate team to help children early and make the care we provide last throughout their lives. 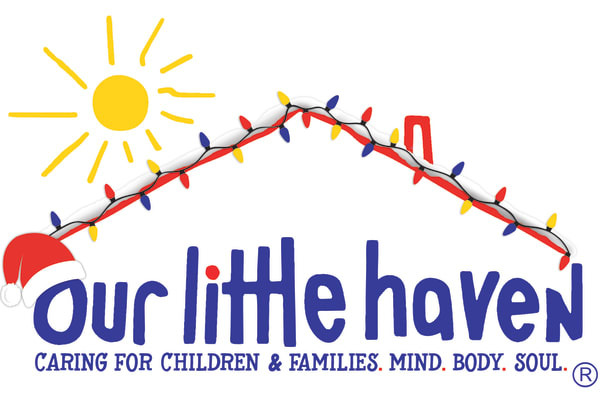 Mechanical Contractors of Eastern Missouri and Local 562 have partnered up to support Our Little Haven this holiday season. With a $5,000 match from Local 522, MCA and partners will join together to raise some funds and awareness to support Our Little Haven. 100% of your gift will go to support the compassion and care every child and family receives at Our Little Haven. For the past 25 years, Our Little Haven has cared for the most vunerable members of our community, the children. With your help, Our Little Haven can continue their work and make sure that every child receives the love and care they deserve.